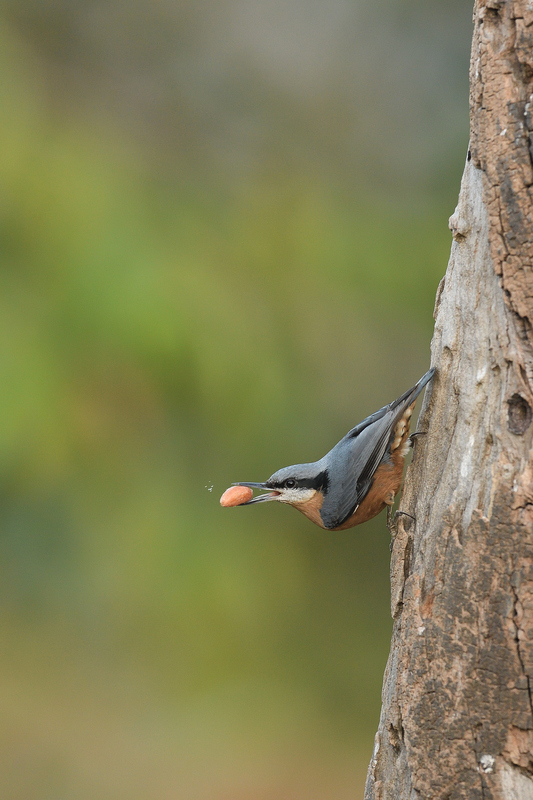 Have always wanted a pic of the nuthatch with its characteristic pose – head away from the body, looking askew, sort of craning its neck to see what is out there, in a vertically composed image. Have seen too many of these being posted in birding groups and have always been jealous of the folks who had managed them. We were at Rajesh Panwar’s Camp Milieu in Kaladhungi on way to Chopta and thats the image I focussed on capturing ignoring all the other distractions that were being thrown at us. I think that I finally nailed it.